With the debate on gun control stuck in a battle between partisan politics, architects have stepped in to answer the following question as best they can: What are alternative ways to keep students safe? 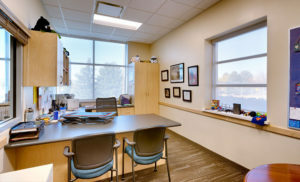 Architects are taking a proactive approach to limit future incidences of violence and unwanted intruders on campuses nationwide, and that is especially true for Curtis Miner Architects (CMA). CMA is working on projects with the Canyons School District that are reimagining what a safe school should look like. Corner Canyon High School was designed with keycard-restricted doorways; access is given to teachers and administrators. Teachers can lock classrooms from the inside, as well. The school also has three spaces where one could stand and see down entire hallways. 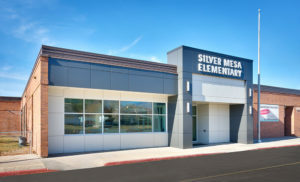 CMA is completing major renovations at the Silver Mesa, Brookwood and Park Lane Elementary schools as well. 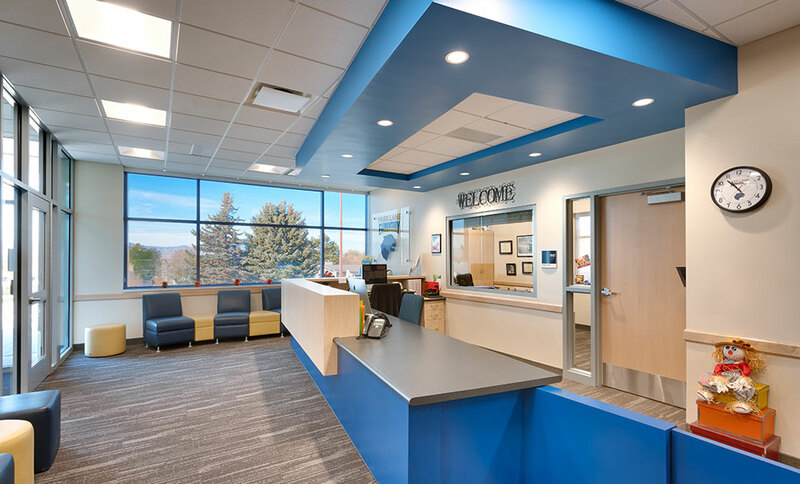 At around 4,000 SF per project, the additions to the main reception and modifications to the buildings are something to behold. Storefront glazing replaced what was once a solid brick wall, giving staff the visibility needed to see the bus drop off, parent drop off, and the parking lot. School administrators are tasked with screening both familiar and unfamiliar faces before those people enter the facility. With other doors restricted to keycard access, visitors must pass by someone before entering in the school, a drastic change in school security from the previous decade. While safety in building design has become an increased priority in recent years, learning is the primary focus of education facilities. At CMA, we are firmly aware that these two “competing” interests can work in tandem. Although there may be disagreements on how to stop gun violence, everyone can agree on the importance of safe and effective learning environments for today’s students.